This TA Technix sport suspension kit is for the Lancia Y type 840. This TA Technix sport suspension kit is for the Lancia Dedra type 835. This TA Technix sport suspension kit is for the Lancia Delta type 836. This TA Technix sport suspension kit is for the Lancia Phedra type 179. This TA Technix sport suspension kit is for the Lancia Zeta type 220. This TA Technix sport suspension kit is for the Lancia Delta type 831. This TA Technix sport suspension kit is for the Lancia Kappa type 838. 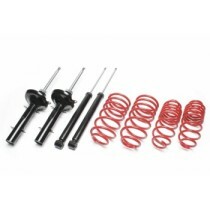 This TA Technix sport suspension kit is for the Lancia Thema type 834.